Breeders of SIMMENTAL Fullbloods since 1990. Swiss Tradition - Today's Genetics. Farm Bischof now offers farm raised spring lambs. Québec lambs at their best! Contact us for your orders. We have included some information on our farm and our Fullblood breeding program, including our private treaty sale offerings. 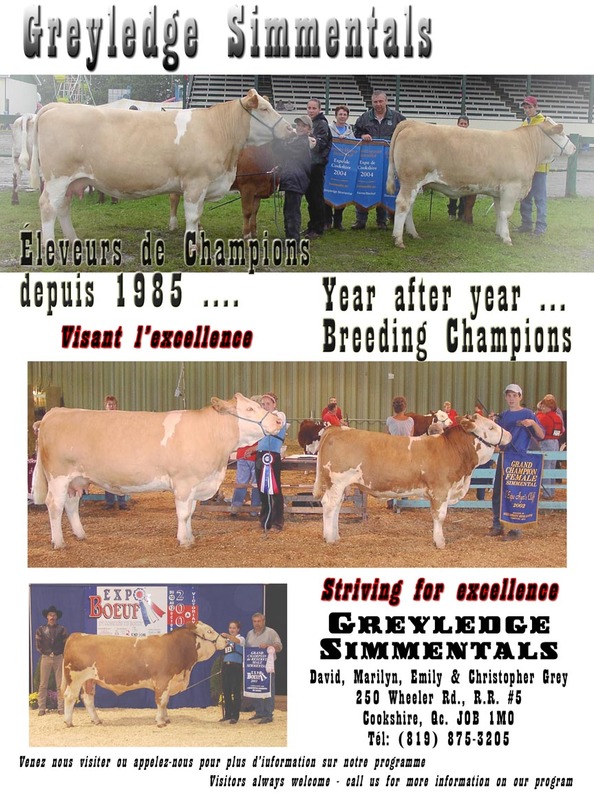 We have also added some links and references on the Simmental breed in Canada as well as overseas. We hope you will enjoy your visit and will contact us or visit again soon!